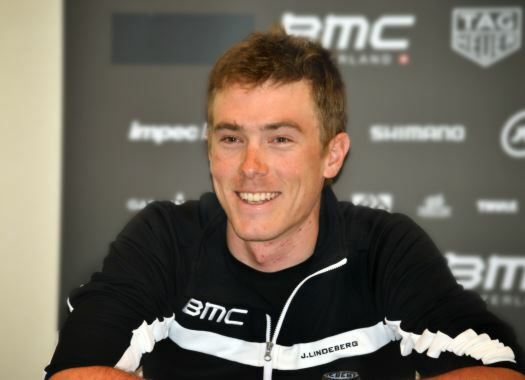 Rohan Dennis once again confirmed his time trial skills with a convincing victory at the 16th stage of the Vuelta a España. The Australian of BMC Racing Team finished ahead of his teammate Joey Rosskopf to take yet another time trial win in a grand tour. "I tried to control the start and finish and make my move in the middle section and it worked out perfectly," he said. "I didn't know what (Michal) Kwiatkowski and a couple of these later guys could do. All I knew is what (Jonathan) Castroviejo was doing at that time and he's a good indicator of whether you're doing well or not. "But to be honest, the big performance of the day came from Joey Rosskopf. He's the best teammate. Easiest guy to be in the back of the bus with and he got second, so I'm really happy for him." With the time trial done, Dennis now sets his eyes on the next challenge - the World Championships in Austria. "Everything is looking good for the World Championships. I don't know if it's good or bad for the team but I'm heading home now and preparing specifically for the TT and the team time trial. Hopefully I'll have a couple more boxes ticked by the end of the season."